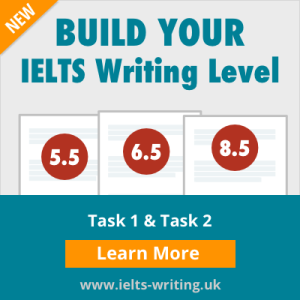 Each practice test contains 4 Sections as in the official IELTS test – equal to about 7 hours of IELTS test time. All the different IELTS Listening question types are included. All answers for the all Listening questions are of course also included. The tests are in PDF format which means they can be accessed online or offline and easily printed. Please note: the audio is embedded in the PDF files. You need to open the PDF files with Acrobat Reader on a computer. All audios and transcripts are included. As in the official IELTS test, the Listening tests contain a range of accents from the US, UK, Australia, Canada and New Zealand. This pack includes ‘LISTENING TECHNIQUES for IELTS’ which contains the most effective techniques and tips you can use to improve your test performance. “I just want to recommend these practice tests. I lived in the UK for some years and I found it very difficult to understand non-British accents. I couldn’t get my IELTS listening score above 6.0. The IELTS practice tests on your site really helped me to understand other accents. I could feel more confident with American and Australian pronunciations, and I got 7.0 for listening, finally! I think this website is the only IELTS website to offer this and with the listening techniques pack it’s probably the best. Keep up the good work! Thanks! “This pack is very helpful listening material with different pronunciations. It’s useful to tune in for the actual test. I recommend it for that. “I need to improve my listening score but I have problems understanding some pronunciations. This download includes a lot of different accents like in the real test so it’s very useful for people like me. I had small problem with the download because of my computer but support staff solved the problem quickly. “My story is that I always had problems with listening. My other scores were OK but I really had hard time listening. So I never got more than 5.5. These practice tests with different accents like British, Australian, American and more really helped me. Anyway I now have 7.5 for listening! Two points higher in just 1 month! I can now live my dream of working as a nurse in Ireland. Thank you very much. I will not hesitate to recommend your website in the future. “Bought this pack last week. Easy download, easy print, audios are good. No problems.